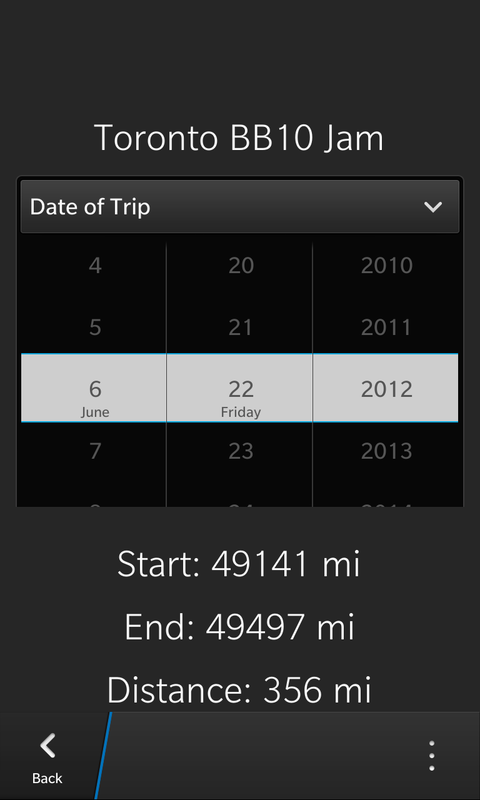 The brand new Mileage Tracker app has been released for BlackBerry 10 devices. This app is designed to help you track miles driven each trip for use in tax deductions, accounting, and business reporting. Instead of keeping this information charted on your computer, it makes much more sense to be able to do so directly from your phone, which you would have with you in the car anyhow. This app allows you to create different categories, so that you can have separate lists for different billing periods, each vehicle, or on a per project basis. In order to start a new entry select the ‘Add’ option on the bottom of the screen. 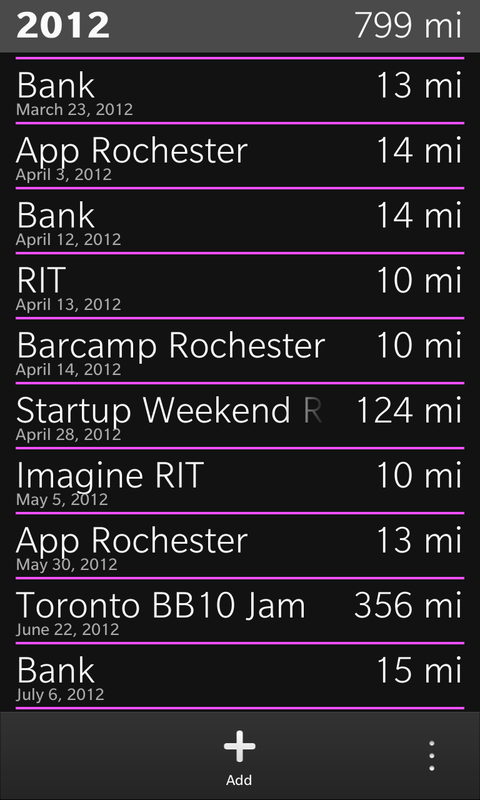 For each trip, you must include a reason, a date, and the starting and ending odometer readings. Selecting an entry gives you the option to edit or delete it. New categories can be added from the menu, and you can switch between existing categories by selecting the category name at the top of the screen. The options screen allows you to restore the most recently deleted entry in case you accidentally delete something.